When do you stop working when you're an entrepreneur? I had a friend ask me to do a post about when to stop working when you’re an entrepreneur. How do you know when you’re supposed to stop working? He was saying that working all the time and “hustling” is great for your business but it’s bad for your life. Right off the bat, I would argue against that. 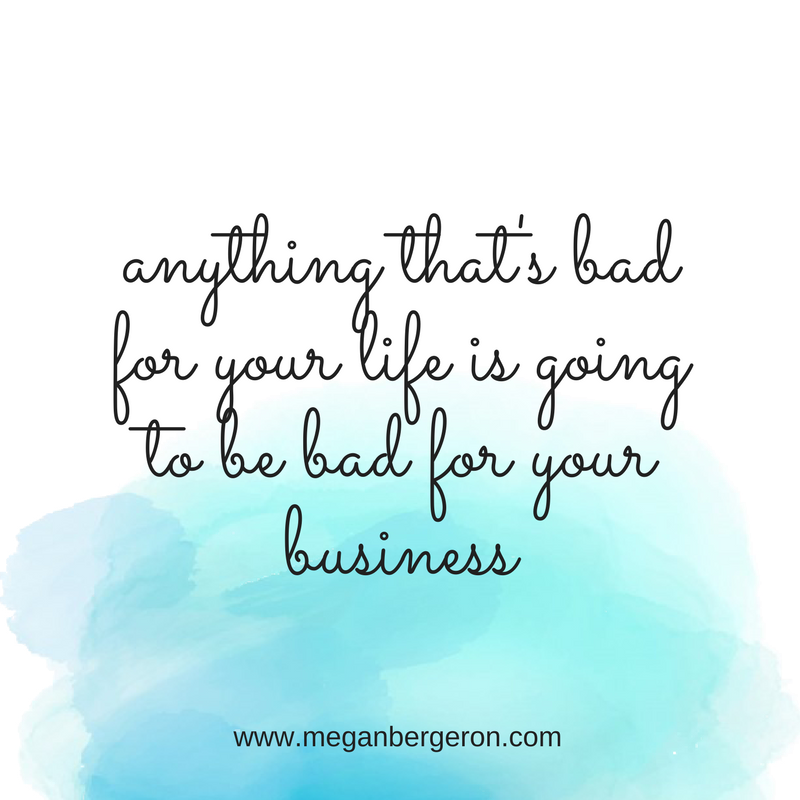 Anything that’s bad for your life is going to be bad for your business as well. We live in a time where it’s popular to have the attitude that you have to hustle all the time and work harder and harder to have any kind of success. I disagree with that, I don’t think it’s true at all. I think that if we work to the point where our personal lives suffer for it, it’s going to negatively impact our businesses. This post is for people who are asking themselves those same questions: How hard should I work? When should I stop? How do I know when it’s time to stop working? This is not for those of you who want to work around the clock, and are really excited about doing that – because there are some people who feel that way, and that’s great. But if you’re asking yourself when you should stop working, it means that there is a point when you WANT to stop working! That’s okay too, it’s actually a really great thing! I’ve been thinking about this a lot since I had that conversation with my friend and there are three questions that I would ask myself in this situation. Hopefully these will help anyone reading this too. You can have a massive to-do list and you’re extremely busy, but most of your time is not spent on things that are actually producing results in your business. We’ve all heard of the 80-20 rule, where 80% of your results come from 20% of the effort that you put in. That’s something to seriously consider when you’re looking at how much time you’re investing into your business and how much of yourself you’re pouring into it. So, track your time, and really look at what you’re doing. 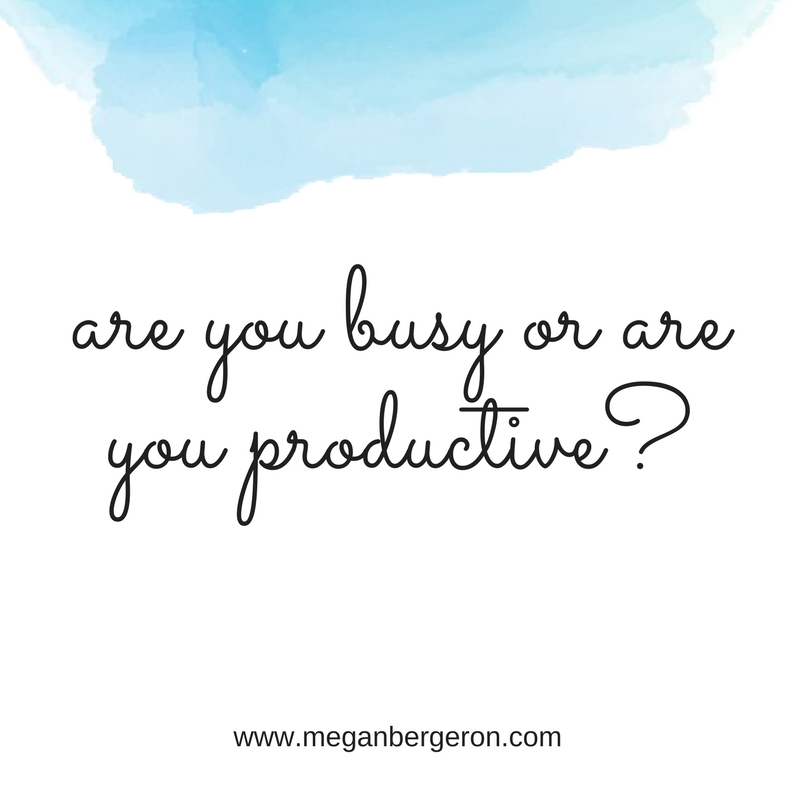 Are you doing busywork? Or are the things you’re doing really moving you forward and producing real results in your business? Once you start tracking your time, you might be surprised to see that a lot of the work you’re doing is busywork, but then you can start to adjust and do more of the real productive work, which cuts down on your time. So, the point is: try to get the most bang for your buck with where you’re spending your time! We’ve also all heard “work smarter, not harder”. What does that even really mean? Does anybody know? 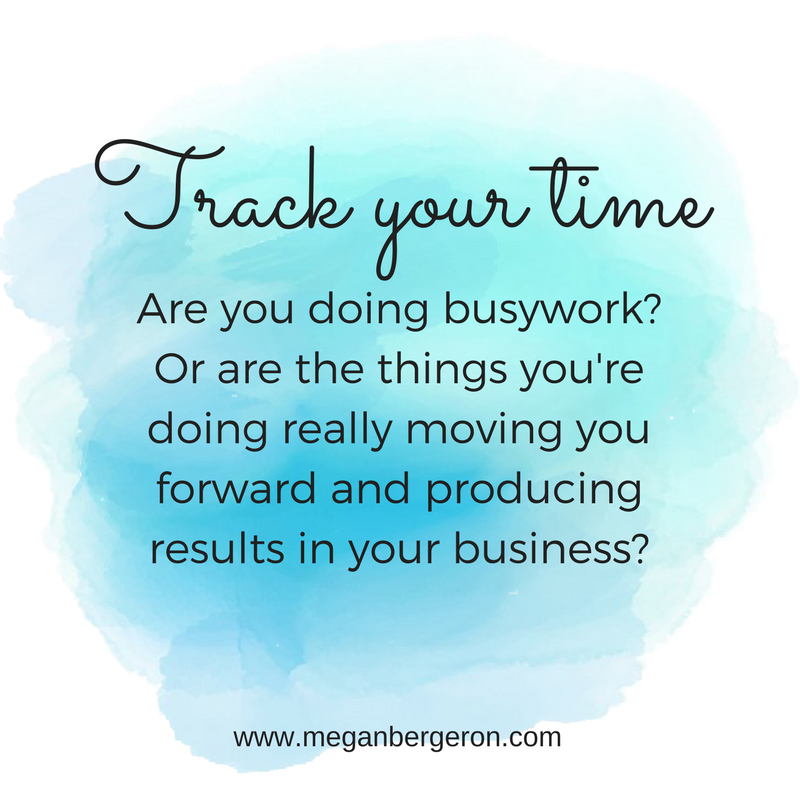 I think it means putting your energy into the activities that are going to be productive and bring you results versus the endless to-do list of busywork that’s not actually moving your business forward. 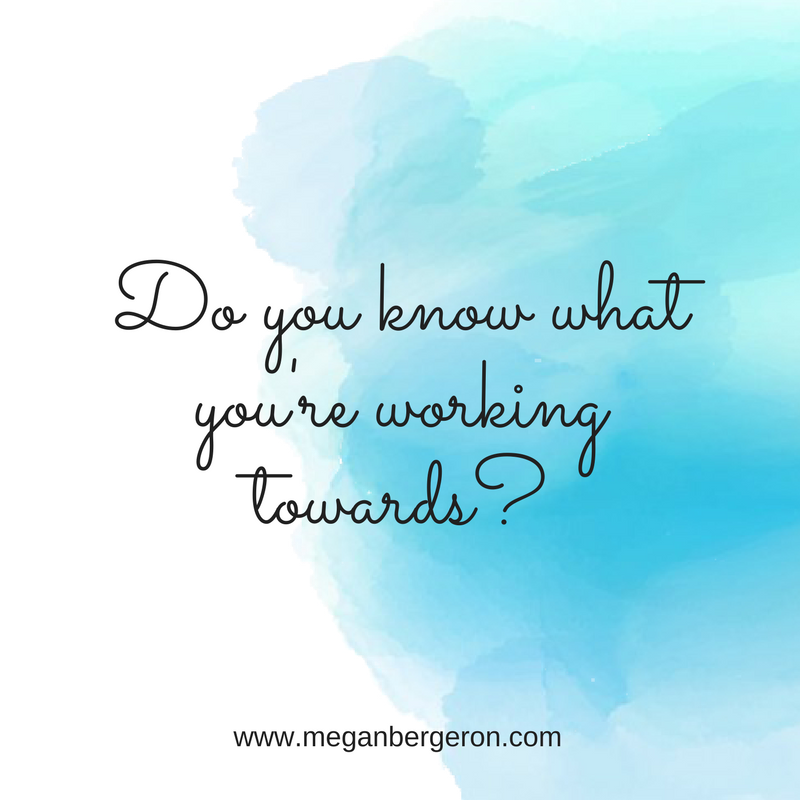 Do you know what you're working towards? It sounds kind of basic but in a lot of cases we don’t necessarily know what we’re working towards. Do we know what our vision is for our business and for our personal lives? If you’re hustling hard in your business, and you’re sacrificing your personal life and your relationships for that, is that really what you’re working towards? Is that what you want out of your life? I’m guessing probably not! Defining what it is you’re working towards - not just in your business but also in your life - and finding alignment between those two is probably the best thing you can do for your business and for your life too. The people in your life will thank you for it. So, find that alignment, and define what it is you’re working towards. You’ll be more conscious of how you’re spending your time, and whether it’s bringing you closer towards what you are working for, in both your business and in your life. Do you plan when you're going to quit for the day? This is so important. If you do want to quit for the day at some point, do you plan when you’re going to quit? Most of us don’t! This is another simple thing that can have a huge impact on your day. When you start your day and you’re planning how you’re going to spend it, also plan when you’re going to stop working for the day. Since I’ve started doing this, it’s had a huge impact! It’s really freeing to decide how you’re going to spend your day and when you’re going to quit - then you can move on with your day! You can continue it with the people you love, and be happy with the work you accomplished that day. When you’re switching gears from working to spending time with your family, it’s also really helpful to take a minute, breathe, and let go of your work. Let go of anything you’ve been working on, and anything that’s bothering you. 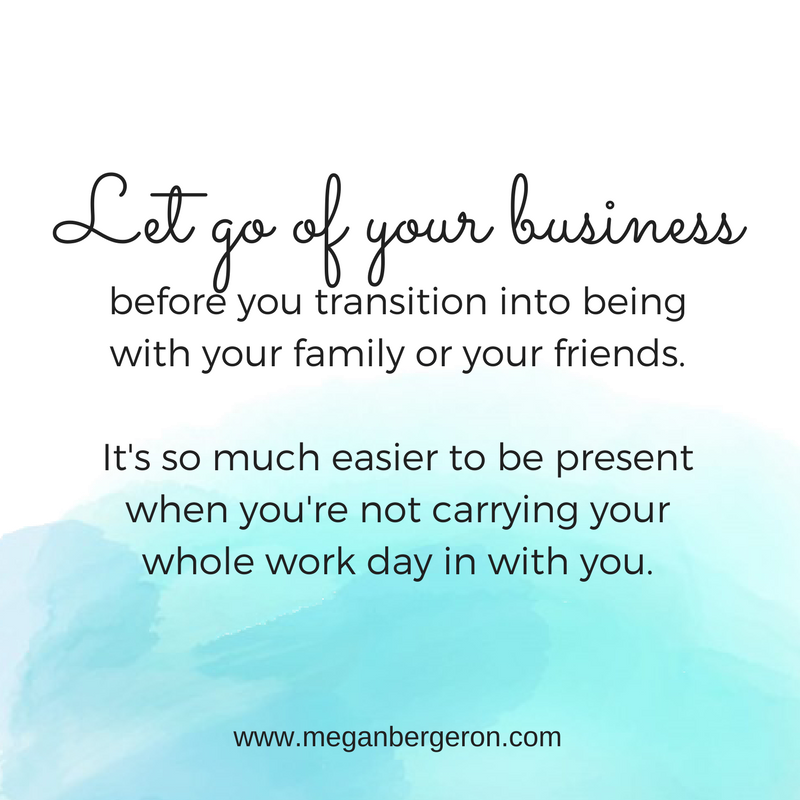 Just let go of your business before you transition into being with your family or your friends. It will be so much easier for you to be present with them when you’re not carrying your whole work day in with you. Those are my best three questions to ask yourself if you don’t know when to stop working and you feel like you want to at some point! Ask yourself these questions and I promise it will help! If you liked this post, subscribe to get them delivered straight to your inbox, and share this with your friends!